MARS’ partnership with The FA and England Team - We Are Fearless | Boldness with backup. 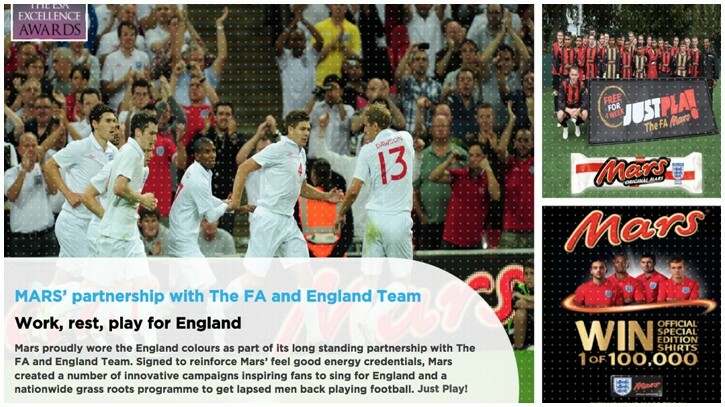 Mars proudly wore the England colours as part of its long standing partnership with The FA and England Team. Signed to reinforce Mars’ feel good energy credentials, Mars created a number of innovative campaigns inspiring fans to sing for England and a nationwide grass roots programme to get lapsed men back playing football. Just Play!